This article briefly delves into the realm of supply chains and their impact on an ever changing global landscape. When Henry Ford unveiled the conveyor belt method of assembling automobiles, the United States was at the forefront of a new technology. This gave America an advantage in constructing automobiles that lasted for years and years. Recently, other countries such as Japan have become the most efficient producers of cars in the world. It is often said that for every step in business and technology, the United States is usually the first country to jump to the next technique or practice. Now that other countries have overtaken our position as the number one manufacturer in the world, it is up to entrepreneurs in the United States to take the next steps. One such emerging technology is the concept of advanced supply chain management. If manufacturing is moving overseas, then there must be a way for technology and capital laden US companies to take advantage of that cheap production to supply the world. 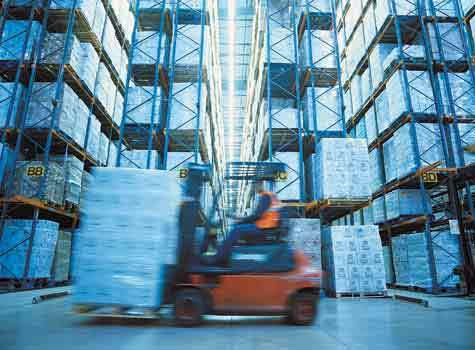 This is where supply chain management comes into play. Companies are now using advanced techniques to optimize orders, deliveries, stocking and payment systems into one continuous scheme. It all started with Walmart and has extended to companies like Dell and Toshiba. In the case of Walmart, they have pushed supply chain management as the main cost saving mechanism in their business model. Sears was one of their major competitors when they started up in Arkansas. Everyone in the retail industry bought product from the same sellers. Entrants had no way to differentiate themselves with regards to pricing, since everyone received basically the same price. Instead of competing with major retailers like Sears when they first started operating, Walmart decided to skip the middleman and go straight to the wholesaler. The wholesalers wouldn't sell small shipments to individual stores, so Walmart had to create distribution centers to allocate the products to all of their stores. This made the wholesalers happy because of the ease with which they could deliver large shipments to their stores. This gave them a cost advantage that their competitors hadn't thought to take advantage of. Dell is also an example of advanced supply chain management. When someone orders a Dell computer, that order goes through a supplier. The computer is then manufactured at a third party site where all of the parts are kept. As the computer is built, Dell is charged for the parts that are put into the computer. This means that Dell carries very little to no inventory. As a result, Dell has very little inventory risk as technologies adapt and evolve. Dell is simply in the business of connecting suppliers to customers, and facilitates a customizable way for users to access personal computing. Dell is a supply chain operator. Many other companies don't even touch their own products anymore. They contract out services such as manufacturing, repair and sales. These companies have taken advantage of a changing landscape in the United States, and small businesses will have to follow suit or become obsolete. What's your take on supply chains?